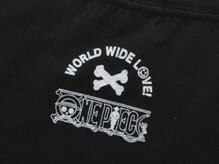 The t-shirts featured an illustration of the One Piece character Chopper wearing a “World Wide Love” t-shirt. 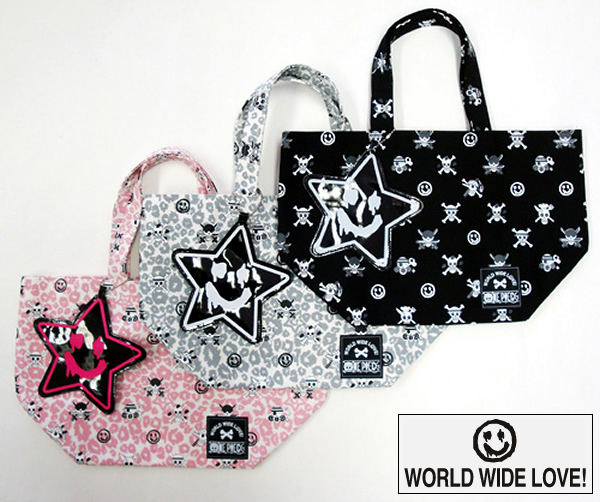 The new tote bags come in three different colors – black, pink leopard-print and gray-leopard print. All of the designs feature a One Piece pirate pattern combined with the distressed smiley face logo of World Wide Love. 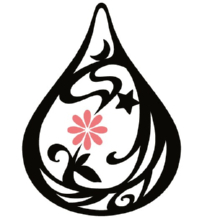 World Wide Love has shops in department stores all over Japan, including LaForet Harajuku, Parco Shibuya, and MyLord Shinjuku.